Upon arrival you will be welcomed by an English-speaking representative of Aratinga Tours and transferred to the quiet Hotel Robledal, nicely located at the edge of Alajuela downtonw surrounded by garden. Here you can enjoy some of the more common birds of Costa Rica like Hoffmann’s Woodpecker, Blue-cronwed Motmot, Great Kiskadee and Blue-gray Tanager. 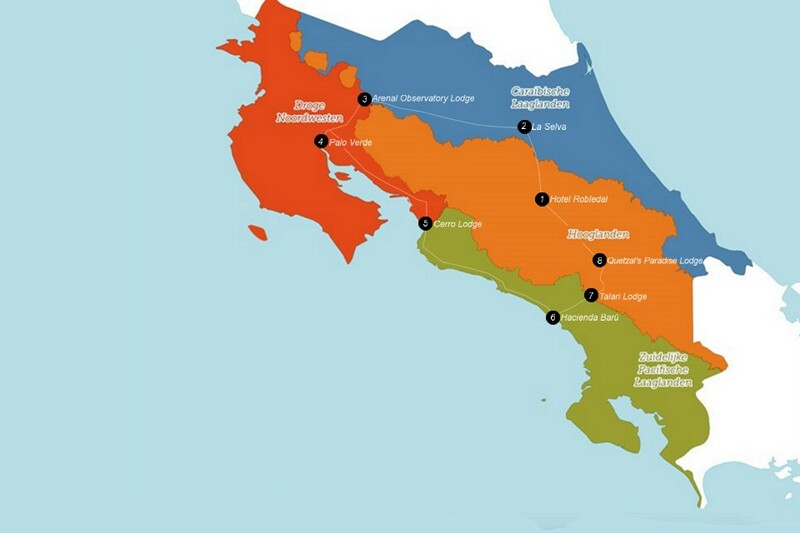 To start your Costa Rica birding tour you will head towards the Caribbean lowlands en route passing by the vast wilderness of Parque Nacional Braulio Carillo. You will spend the next days in “La Selva”. This is one of the most famous biological stations in the neotropics and one of the classic and most productive places for birdwatching in Costa Rica, where you will be spoiled with colorful birds like Parrots (up to 9 species including the possible Great Green Macaw), Trogons, Tanagers and Toucans (up to 3 species) at the forest edge. Besides that you will have access to an extensive trail system penetrating a beautiful piece of lowlands virgin rainforest in which you can expect some of the more elusive typical forest birds like Tinamous, Manakins, Woodcreepers and Antbirds. 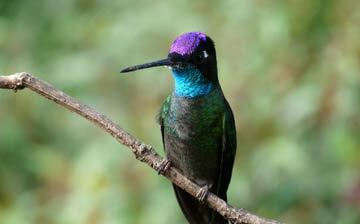 On day 3 you will be joined by a private birdguide for a ½ day birding tour. Arenal Observatory Lodge is a comfortable lodge with a spectacular setting at the edge of the rainforest and right in front of (but at safe distance from) the active Arenal Volcano. The beautiful gardens of the lodge, fruit feeders and forest edge attract some easy to see birds like the colorful Crimson-collared Tanager, Passerini’s Tanager, Golden-hooded Tanager and Crested Guan. Besides that the purple verbena flowers in the garden attract many hummingbirds including Violet-headed Hummingbird and sometimes even the spectacular Black-crested Coquette. On day 5 you will make a private guided birdwalk partly through the canopy passing large suspension bridges. This is the ideal way to see a bit more of the fauna and flora of the canopy. You will be on the lookout for local specialties like White-fronted Nunbird , Song Wren and the rare Yellow-eared Toucanet among many others. Passing the continental divide you will all of a sudden enter a complete different world of dry pasturelands and savannas. This produces a completely different set of birds. You will stay in the isolated Palo Verde biological station, at the edge of one of Central America’s most important wetland for breeding and wintering aquatic birds. Expect large concentrations of Black-bellied Whistling Ducks, various heron species, Roseate Spoonbills, White and Glossy Ibis, Snail Kites, Wood Storks and with some luck even the endangered Jabirú. Besides that you will have access to a beautiful piece of tropical dry forest where you can look for colourful species like Turqoise-browed Motmot, Black-headed Trogon, White-throated Magpie-jay, White-fronted Parrot and many more. On day 7 a local birdexpert will join you for a morning birdwalk. In Hacienda Barú you will stay in simple but clean bungalows at the edge of the rainforest and at about 200 m from a beautiful tropical white sand beach with coconut palms and rainforest in the background. A well-maintained trail system brings you through primary and secondary rainforest where you can see the beautifull Yellow-throated Toucan, and Fiery-billed Aracari’s, colorful Tanagers and troops of White-faced Capuchin Monkeys. On day 11 a guided birdwalk through the reserve is scheduled. Your next destination, Bosque del Tolomuco Lodge is a small B&B located at the base of the Talamanca mountain range. The friendly owners are passionate birders and have converted their beautiful garden in a paradise for birds and birdwatchers. Fruit and sugar feeders attract a wide variety of beautiful species that are often hard to see anywhere else and that are easy to approach and photograph. Local specialties include the stunning Speckled Tanager, Red-headed Barbet, Snowy-bellied Hummingbird, White-tailed Emerald and with some luck even the White-crested Coquette. In addition to the many feeders an extensive trail system gives access to a nice piece of foothill rainforest with possibilities for Black-breasted Woodquail, Slate-throated Redstart, Lesson’s Motmot, Spotted Woodcreeper and many more…on day 13 a private local guide will be your company for half day and help you spot and identify the birds. Your trip will continue through the endemic rich area of the Cerro de la Muerte. You will stay at around 2300 masl in the Quetzal’s Paradise lodge. Here you will be in the middle of the cloudforest with dramatic views of the surrounding mountain scene. Several trails give access to the cloudforest where you might see the spectacular Resplendent Quetzal and can spot many (near-)endemic bird species like Spangle-cheekd Tanager, Black Guan, Collared Redstart and Yellow-thighed Finch among many others. Sugarfeeders attract several highland hummingbirds including the colorful and rare Fiery-throated Hummingbird, tiny Volcano Hummingbird and Magnificent Hummingbird. 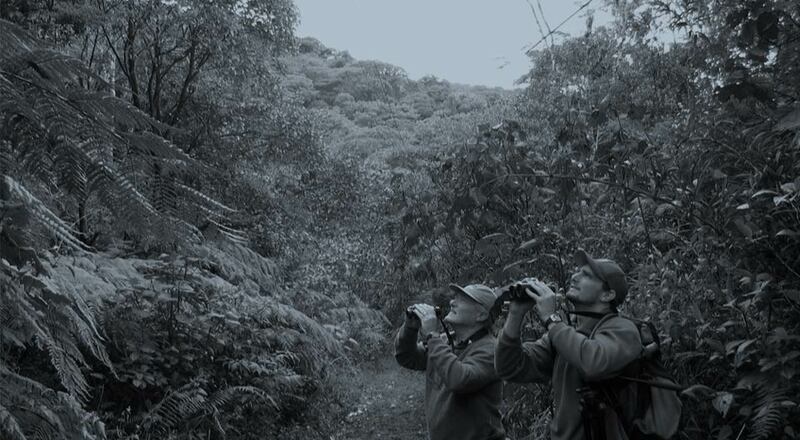 On day 15 you will go on a birdwalk in search of the Quetzal and other local specialties. You will end in Hotel Country Inn, conviently located at only 10 minutes from the airport. At the end of day 16 your rental car will be picked up at the hotel. On day 17 you will be transferred to the airport. End of trip. English meet and greet at airport + private-transfer to first hotel on day 1 and to airport on day 17. Rental Car: Suzuki Jimmy from day 2 until day 16. Including full cover insurance, mobile router that generates Wifi signal + .